Tony: I can't stay here. Tony: If that's Ziva, I gotta go. Gibbs: We know. McGee, get him a plane. Permalink: We know. McGee, get him a plane. Doctor: The bullets narrowly missed his spine but still cause significant nerve damage. Emily: Are you saying he's paralyzed? Doctor: Nothing permanent. We anticipate problems with his right arm and leg. He faces extensive rehab, and there'll be tough times ahead, I'm afraid..
Emily: [crying] Been there, done that. Gibbs: Nothing he can't handle. Permalink: Nothing he can't handle. Vance: Gibbs. 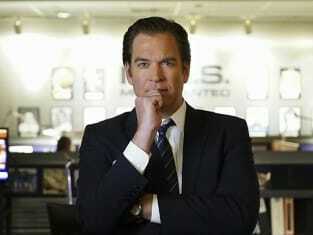 Where's Agent DiNozzo. McGee: His plane leaves in a few hours. Abby: What is it, director? Vance: I just got a call, from Tel Aviv. Permalink: I just got a call, from Tel Aviv. McGee: Vance got a call. Tony: Ziva. Are we sure? McGee: I'm so sorry, Tony. Permalink: I'm so sorry, Tony. Orli: Actually, I'm here for a much more important reason. Something far more personal. Bring in Tali. Vance: Wasn't that Ziva's sister? Orli: You may have heard there was one survivor pulled from the farmhouse. Her room was in a corridor not destroyed by the fire. Tali is Ziva's daughter. And your daughter, Tony. Tony: If I had known she was pregnant, I would have been there in a second. Orli: Which is precisely why she didn't tell you. She didn't want to disrupt your life any more than she already had. Tony: That was not her decision to make. Orli: You know better than anyone how fiercely independent Ziva was. She did not need a man to complete her. She was quite comfortable and confidant raising Tali on her own. Tony: Without ever telling me. Permalink: Without ever telling me. Ducky: First Ziva, and now a child? Gibbs: Not a typical day. Permalink: Not a typical day. Palmer: Hey, are you coming back to work? Palmer: I don't know. You're a single dad now, Tony. An agent in the line of fire. Wasn't sure you'd want to juggle. [smiling] Tobias. You look awful. Permalink: Tobias. You look awful. Tony: I loved her, Tim. McGee: I know you did. Permalink: I know you did. Tony Senior: What does that mean? Eema? Tony: Hebrew. Means mother, mom. Tali: [pointing at Tony in photo] Abba. Tony: Tali, what did you say? Tali: [points at Ziva] Eema. [points at Tony] Abba. Tony: Ziva must have told her. She knows me. That's right, Tali. Permalink: Ziva must have told her. She knows me. That's right, Tali. Kort: Old friends, and new. But not the one I expected. Kort: DiNozzo. I had no idea she'd be in the farmhouse. You know that. Kort: There's nothing personal. Strictly business. McGee: It is personal. It's Ziva. Tony: She was my family. Permalink: She was my family.